« The Professor Who Dreamed In Russian! Tomorrow Sherrylee and I are driving about seven hours to Searcy, Arkansas, because her father Max Johnson and his wife Opal are being presented with a Christian Service Award from Harding University during their lectureship. The presentation will probably last a total of five minutes, but good time management is not really a relevant issue here. Sharing special moments with those you love—at any cost—especially your parents—is what it is all about! Have you ever noticed in the Ten Commandments (Exodus 20) that “honor your father and your mother” is the first commandment which is about something other than the uniqueness and holiness of God? Commentators often see a shift of direction in the fifth commandment, moving from God-centered commands to neighbor-centered . Jesus probably saw it this way too as you can tell from his summary of the ten commands: Love the Lord your God with all your heart and with all your soul and with all your strength and with all your mind, and, love your neighbor as yourself (Mark 12). I like to think about this fifth commandment as being the bridge between the two groupings. After all, your parents are not really neighbors and they haven’t been divine since you were about ten years old. Yet, in some ways they still have their feet on both of these banks. My mother is 88 years old and lives about five miles from Sherrylee and me—and so she is my neighbor. And you can’t call God Father without thinking about your own father, can you? So what does God mean when He commands us to honor our fathers and mothers? And what does that look like for me when I’m thirty? Forty? Fifty? Sixty? Or older? (My mom just lost a friend of hers who was 107. She was being cared for by her 80-year-old daughter—or maybe it was her almost 60-year-old granddaughter—Mom wasn’t sure!). Mom would laugh if I told her that the core meaning of the word God wrote on the table of stones is weighty. She is definitely not weighty! But the way the word is used has to do with something that is weighty with value. 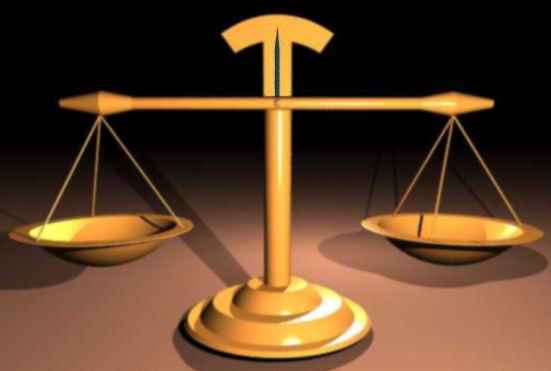 My mental image is of those balance scales that are still used in many countries to determine the value of something. The heavier the scales register, the more valuable the commodity. The fifth commandment says that parents are to be considered precious, of extraordinary value, like a pair of huge diamonds that always drop their side of the scales to the bottom. The Ten Commandments were not given to children; Jesus accused the Pharisees and teachers of the law of breaking the command of God to honor father and mother (Matthew 15:3ff). We never outgrow the command to honor father and mother! Jesus reprimanded the Pharisees for not using their money to take care of their parents. I know a good man who was a corporate executive for a multinational firm for many years, who retired financially secured, but who spent all of his retirement taking care first of his wife’s parents, who lived into their nineties, and then his own until their deaths. He honored his parents and hers at great personal cost—because they were weighty—precious jewels. Jesus also quotes the command not to curse father or mother to the Pharisees, so I wonder if they were doing that too? Could your parents frustrate you so much with their insecurities, with their lack of comprehension, with their lack of inhibition, with their legalism, with their insistence on their own way, could they make you want to curse?? Maybe the Pharisees and their parents weren’t so different from us after all??? And so we drive a total of 14 hours for a five-minute ceremony to honor Max and Opal—but we do it because they are precious to God and to us. If our little trip were put in the balance scale on one side, it wouldn’t even register compared to the weighty people on the other side.